Built on the proven ARC Plus platform, the ARC Plus SL provides affordable, full-featured broadcast remote control in a slim, 1RU footprint. With all the power of the ARC Plus system—plus compatibility with any ARC Plus—the ARC Plus SL redefines economical IP-based remote control. Bandwidth-friendly, the ARC Plus SL is optimized for real-world broadcast links, eliminating the need for costly legacy solutions. Alert appropriate personnel with selective alarms. Targeted alerts via email or SMS assure the proper response. The ARC Plus SL supports a wide range of operator access options. The built-in web interface allows access from any PC without installing software. Smartphone access is possible using the mobile web page. PC-based management using AutoPilot supports IP links and legacy dialup connections. The Jet Active Flowcharts option makes intelligent automatic site control easier than ever. Create automatic functions quickly by drawing simple flowcharts—no code required. Automatic functionality is built into the ARC Plus SL, eliminating the need for a full-time PC connection. Use the optional AutoPilot software to manage your ARC Plus systems along with legacy ARC-16, GSC3000 and VRC2500 remote controls. Built on an IP networking backbone and taking advantage of the power and reliability of embedded processing, the ARC Plus ushered in a new era of flexibility, connectivity and automation in broadcast remote control, Now replaced in the product line-up by the ARC Plus Touch, the ARC Plus is fully supported with firmware updates, same-day service, and expert telephone technical assistance. The ARC Plus Touch offers built-in IP control with web and smartphone access, built-in macros and virtual channels, and is expandable to up to 256 channels using distributed I/O modules connected via Ethernet. Learn more about the ARC Plus Touch. Built on the proven ARC Plus platform, the ARC Plus SL provides affordable, full-featured broadcast remote control in a slim, 1RU footprint. Learn more about the ARC Plus SL. The ARC Solo includes many of the powerful features of the ARC Plus while offering the simplicity of a self-contained remote control unit. 16 meters, status and relays are all available on the rear apron. Automatic functions, email notifications and even the new Recordable Speech Interface are built in. Alert appropriate personnel with selective alarms. Targeted alerts via email, SMS or telephone assure the proper response. Burk’s Recordable Speech Interface is built right in for dial-in/dial-out telephone control. Featuring a pre-recorded vocabulary tailored for the broadcast industry, users can add up to 1,000 words or short phrases using standard .WAV files. The ARC Solo includes a built-in web server, allowing access from any PC, smartphone or tablet without installing software. PC-based management is available using the optional AutoPilot® software. Intelligent automatic site control is available using Jet, included with ARC Solo. Automatic functionality is built into the ARC Solo, eliminating the need for a full-time PC connection. The built-in wiring interface means nothing else to buy or install. Just hook up the meter and status inputs, on-board relays, telco and LAN. AutoPilot enables multi-site, PC-based facilities management for the entire line of Burk remote controls, including ARC Plus Touch, ARC Plus, ARC Plus SL, ARC Solo, ARC-16, GSC3000 and VRC2500. AutoPilot's fully customizable interface makes managing remote sites easy for operators, engineers and managers. Built-in reports are easily tailored to individual needs, and can be printed automatically or emailed as a PDF to station personnel. AutoPilot also includes network management functionality, bridging the gap between broadcast and IT by including SNMP and ping with traditional I/O. 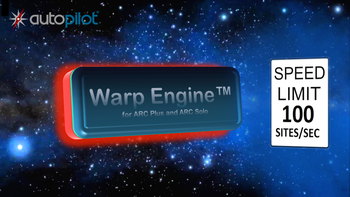 Warp Engine polling, a standard feature of AutoPilot, enables fast, bandwidth efficient, real-time monitoring of hundreds of ARC Plus or ARC Solo sites at a rate of 100 sites per second, with each site reporting as many as 32 status and/or meter values. Warp Engine polling is highly efficient, requiring less than 400 bytes per second of IP capacity for each monitored site. If communications bandwidth is at a premium cost, it can be further reduced by selection of a slower polling rate. Available as an extension to AutoPilot, Jet Active Flowcharts make automatic intelligent site control easier than ever. Broadcasters can design a wide range of automatic functions by drawing simple flowcharts to describe how the remote control should respond to different conditions. Jet works with any site in AutoPilot, even supporting multi-site control using different models of remote control. Arcturus is a complete, turnkey solution providing management and safety for multiplexed TV and FM antenna sites. The system is designed to serve multiple clients on shared antenna systems, while guarding important mutual assets. Arcturus monitors key RF and environmental parameters including forward power, VSWR, line pressure and temperature. Rapid activation of transmitter interlocks in reaction to VSWR faults removes RF energy from the combiner and antenna system, minimizing the risk of loss or damage. Predictive Analytics monitors and correlates key parameters, identifying abnormal trends before dangerous thresholds are reached. Maintenance can be scheduled to avert costly failures. Arcturus hardware is based on ARC Plus technology proven in thousands of broadcast facilities. This high reliability platform has been extended to provide the ultimate in fast, dependable protection for combiners, transmission lines and antennas. For stations using Burk AutoPilot®, Arcturus data may be integrated with transmitter data and included in studio or NOC displays. Burk Technology is the industry leader in transmitter remote control and monitoring. Our remote control systems help broadcasters minimize downtime, reduce costs and maintain compliance with FCC regulations. Receive alarms and access performance data anytime, anywhere. Keeping unmanned transmitter sites on the air 24/7 requires real-time access to critical performance data and immediate notification of equipment failures. Email alerts direct to your smartphone, tablet or PC give you instant notification of alarm conditions. Avoid costly visits to remote sites. With a single click on your smartphone, make a direct connection to an affected site with full monitoring and control of remote equipment. Dial-in / dial-out telephone access ensures connectivity even during IP network outages. Respond instantly with automated functions. JetTM Active Flowcharts make site automation easy. Create easy to read flowcharts to respond to failure conditions. Automatically switch to the backup transmitter or the backup power source. Identify performance degradation before failures can occur. Monitoring changes in key parameters like forward & reflected power, transmitter heat rise or UPS battery condition can expose potential problems, enabling resolution of underlying issues before a failure occurs. Schedule custom reports and automate logging. 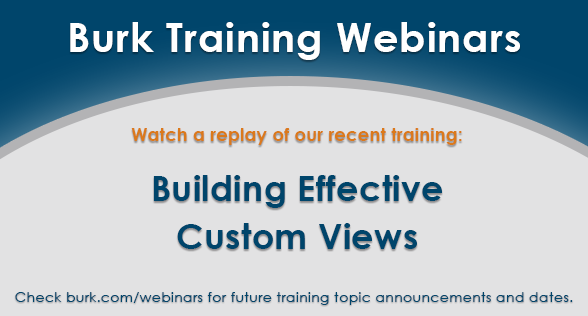 Create detailed, customized reports. Show alarm history and event summaries, track status changes over time, and print telemetry logs. Run reports on-demand or schedule them periodically. Email report PDFs directly to your desktop automatically. The ARC Plus Touch is the flagship of the ARC Plus line. Built for the realities of broadcast, the ARC Plus Touch features operator access via software, web, telephone and front panel. Onboard macros for automatic control enable 24/7 unattended operation without a dedicated computer. The ARC Plus SL provides many of the features of the ARC Plus Touch in a single rack unit. The SL is the perfect choice for full featured remote control where front panel and telephone access are not needed. The ARC Solo offers sixteen channels of self-contained I/O. It is designed for simplicity, while still maintaining the high standard of performance that broadcasters expect from Burk. AutoPilot makes it easy to distribute system access across the entire operation. Monitor real-time data, manage alarms, create detailed reports, and integrate video monitoring. Manage IT infrastructure, including SNMP devices, with the onboard network manager. Custom views allow complete control of the operator interface, so frontline operators have all the resources they need to monitor remote sites and escalate areas of concern. Fast detection and correction of system faults ensures that radio channels are available when first responders need them. RF power measurements at base station and combiner outputs pinpoint faulty transmitters or weather-damaged antennas. Infrastructure monitoring keeps support systems on-line. Archer’s unique Base Station Monitoring feature lets you group forward and reflected power measurements with associated keying signals for accurate power monitoring and alarm generation. Or let Archer calculate the keying interval based on forward power thresholds. Accurate knowledge of site conditions means you will be prepared with the right tools and equipment to restore operation quickly without costly repeat visits. AutoPilot for Archer provides multi-site remote facilities management using Archer monitoring and control systems from Burk Technology.Monitor the performance of your complete radio system on a single screen, then drill down for full access and control of individual sites.Run AutoPilot for Archer on a computer at your Communications Center or carry it with you on your notebook PC. Multiple instances of AutoPilot can run simultaneously, facilitating redundancy and enabling multiple users to access remote sites at the same time. AutoPilot for Archer presents a simultaneous display of forward and reflected Power measurements and PTT status from the Archer units at the transmitter sites, enabling simultaneous display and logging of channel activity for your entire mobile radio system. PTT Flipbooks in AutoPilot for Archer capture and display push-to-talk events including forward power, reflected power and VSWR values. Previous, Next and scrollbar controls make it easy to browse through the historical performance of each base station, identifying drop-outs or intermittent operation. Detect changes in key environmental parameters before equipment failures occur. Monitor surveillance video, perimeter security, door closures and motion. Track performance of main and backup power systems, backhaul communications equipment and other critical site systems. Environmental problems in the server room can cause costly downtime, damage expensive equipment, and even lead to loss of mission-critical data. HVAC equipment failure, power outages, and simple human error can cause catastrophic IT problems—especially after hours. Server rooms and data centers of all sizes require comprehensive monitoring of environmental conditions to detect a problem as early as possible. Climate Guard monitors temperature, humidity, flood/leak, and many other conditions that can cause serious IT disasters. Email, SMS and SNMP notifications ensure that responsible personnel can respond quickly and effectively. Not all problems happen suddenly. A change in how equipment behaves over time may be an early warning sign of a serious problem. A gradual rise in temperature or a change in sound level may be evidence of impending equipment failure. 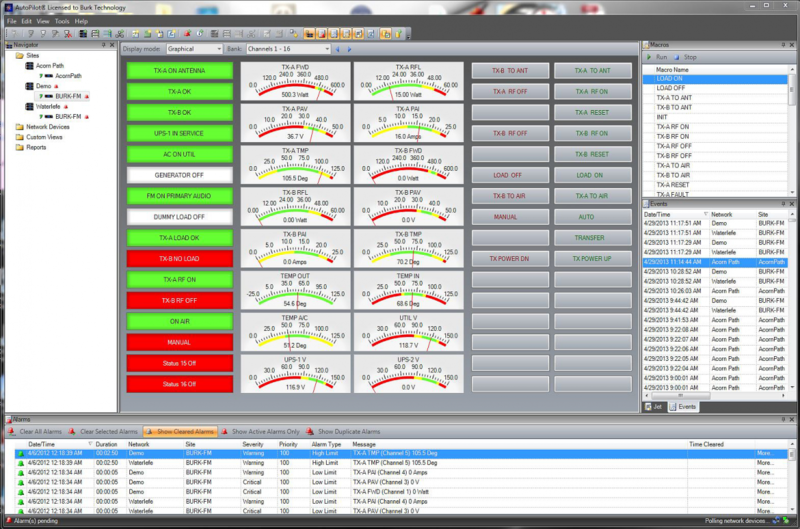 Climate Guard’s onboard charting allows you to watch for changes in environmental conditions over time, preventing a problem from becoming a crisis. Climate Guard’s unique modular design allows you to add capacity and features as you need them. Easily add new sensors as you add equipment, and take advantage of new functionality when you need it. Climate Guard can support up to a total of 64 sensors, including 3 built-in sensors, 8 switch inputs connected to the rear panel connector, 8 powered switch inputs and up to 45 digital sensors connected in daisy-chain configuration to the front panel sensor ports. One or two optional modules can be installed in the front of the Climate Guard unit to simplify daisy-chain wiring and/or to increase the number of switch inputs or powered switch inputs, up to an overall total of 64 sensors. Climate Guard LT is a convenient package providing up to a total of 32 sensors including 3 built-in sensors, 8 powered switch inputs and up to 21 digital sensors connected in daisy-chain configuration to the front panel sensor ports. 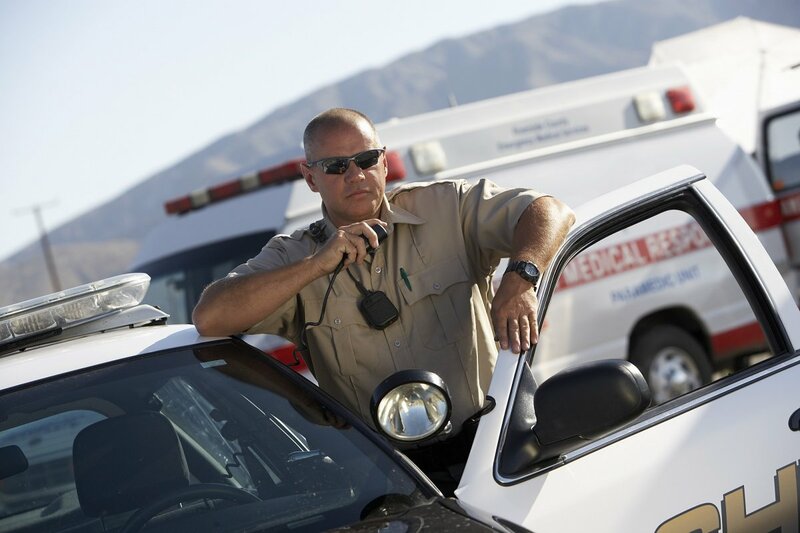 24/7/365 Land Mobile Radio availability is critical to public safety personnel and the communities they serve. Burk Technology’s site management systems provide the tools needed to keep your LMR system online and performing as designed, ensuring maximum up-time, enhanced public safety and efficient resource deployment. With continuous PTT-based forward and reflected power monitoring, failures in base stations, combiners, transmission lines or antennas are instantaneously detected and reported. Alarms are sent selectively to technical personnel and/or managers anytime, anywhere, on any device via email or SMS text. Monitoring and control of power systems, including UPS battery status and generator fuel levels, ensures your sites will have the power to operate in spite of storm-damaged power lines or utility grid failures. Detection of temperature changes, water in equipment enclosures, or other environmental factors enables corrective action before costly, service-affecting failures can occur. Homeland Security concerns have made access control and video surveillance more critical than ever. Be sure your sites are protected from unauthorized access with centrally monitored IP video feeds. Safeguard your perimeter fencing, monitor door controls, and detect motion in unmanned sites with immediate alarm notification. Microwave systems, routers, channel banks and other communications equipment must function properly to keep your mobile radio channels online. Each of these subsystems can be monitored, enabling quick response to service degradation or failure. Burk’s Archer remote site management system includes a built-in web server, allowing access from any PC, smartphone or tablet without installing software. Centralized, PC-based management for your entire network is available using flexible AutoPilot® for Archer management software. approach to server room environmental monitoring without sacrificing ease of installation and operation. Equipment in the server room is responsible for the smooth operation of a business and its revenue stream. The impact of downtime ranges from direct loss of revenue to decreased customer satisfaction and damaged business reputation. One of the leading causes of downtime in the server room is heat. Server rooms require a constant source of cool air to combat the heat generated by densely populated server racks. Even a brief cooling outage can result in rapidly rising temperatures, eventually leading to downtime and even data loss. Temperature is not the only environmental threat in the server room. Humidity, flood and leaks, fire and physical security all require attention. Achieving reliability requires IT management to address all of these factors. Comprehensive environmental monitoring is necessary to achieve the reliability required in today’s server rooms and data centers. 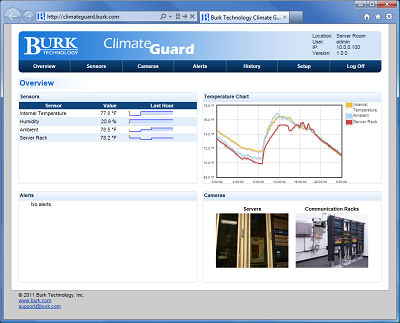 Burk’s approach to environmental monitoring gives IT managers 24x7 visibility and tracking of temperature, humidity and other environmental factors. Potentially dangerous conditions are detected and appropriate personnel are notified before costly equipment failures can occur. Learn more about Climate Guard and Plus-X EM Environmental Monitoring solutions and how they can help you maximum up-time and reliability, improve operational efficiency and reduce cooling and service costs. Firmware Version 1.0.36 is now available for ARC Solo. ARC Plus and Arcturus firmware updates are now supported. LITTLETON, MA (2/22/18) – Burk Technology today announced plans to feature its new Arcturus RF Site Monitoring System at NAB 2018. Industry leaders depend on Burk.